3. 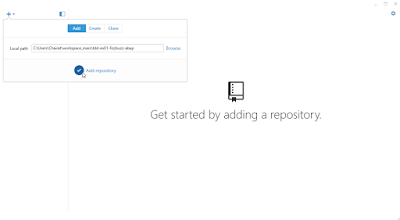 On the left pane, you can click to Clone a Git repository or Add an existing local Git repository. In this case, I will close a Git repository from GitHub. Or you can click the icon on the top-right corner. 4. Get the Git repository URL. 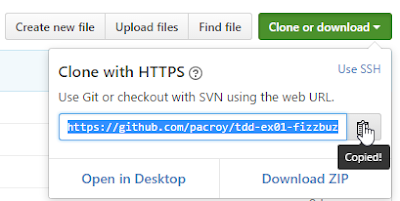 In this case, I copied URL from GitHub. 5. 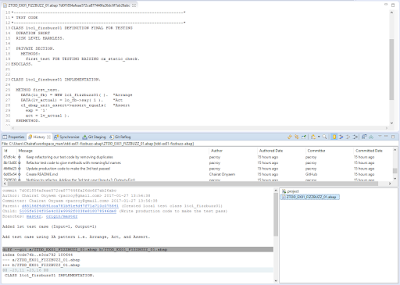 Paste the URL in the URI field and it automatically populates other fields. 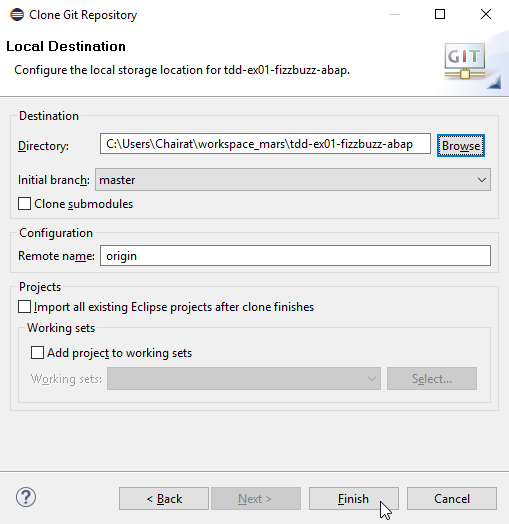 Please note it is recommended to change the URL protocol from https:// to git:// in Eclipse to avoid "cannot open git-upload-pack" issue. 6. 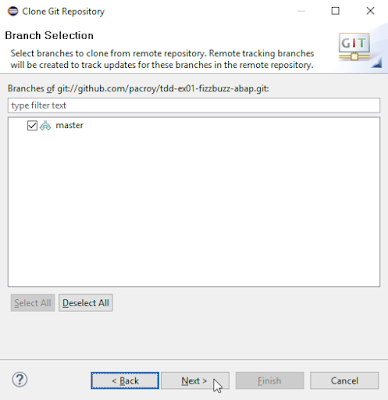 Select branch to clone. In this case, there's only one master branch to clone. Click Next. 7. Select directory you want to keep this Git repository on your local machine. Click Finish. 8. Wait until the operation is completed. 9. 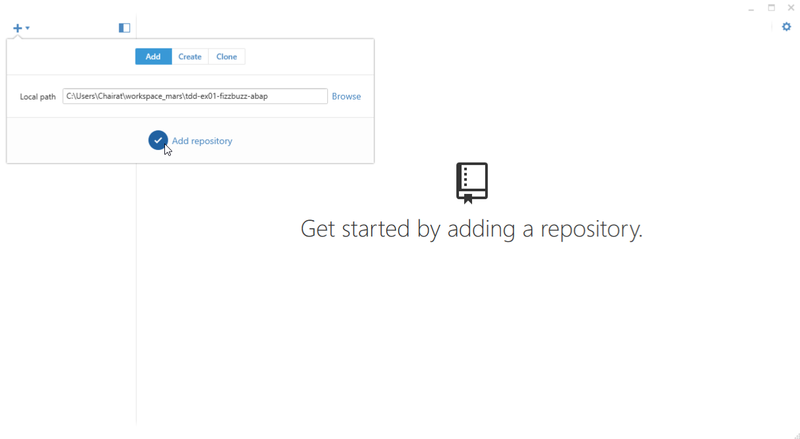 Now, you can see your Git repository in the left pane. 11. You will see the Git commit history appear on the right pane. The history is listed in anti-chronological order. 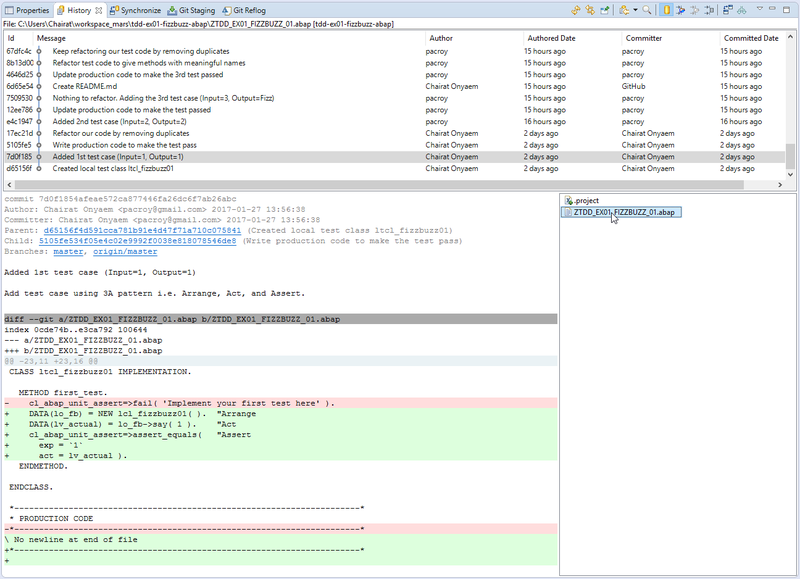 You click one of them to see what files had been changed in that commit. You can double click the file to see the change. 12. 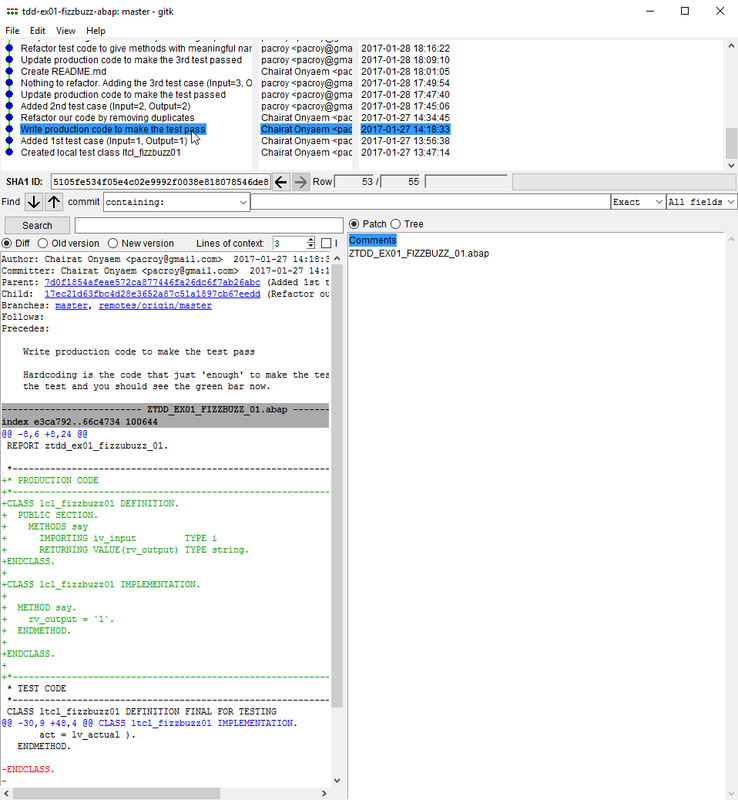 You can see the file content at selected commit from the above view. 1. 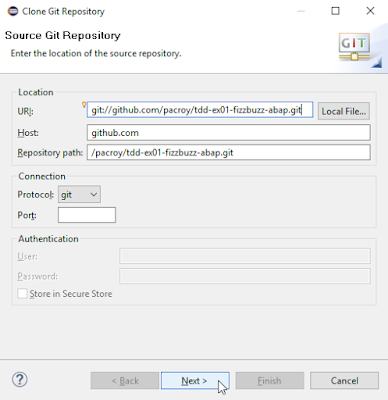 Run Git GUI and select either Clone Existing Repository or Open Existing Reposiory. 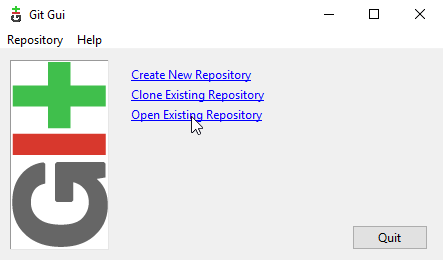 In this case, I will open existing local repository. 4. 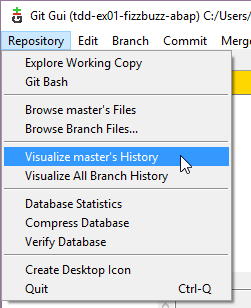 A new window will popup with all commit history which you can choose and the change detail will be shown below. 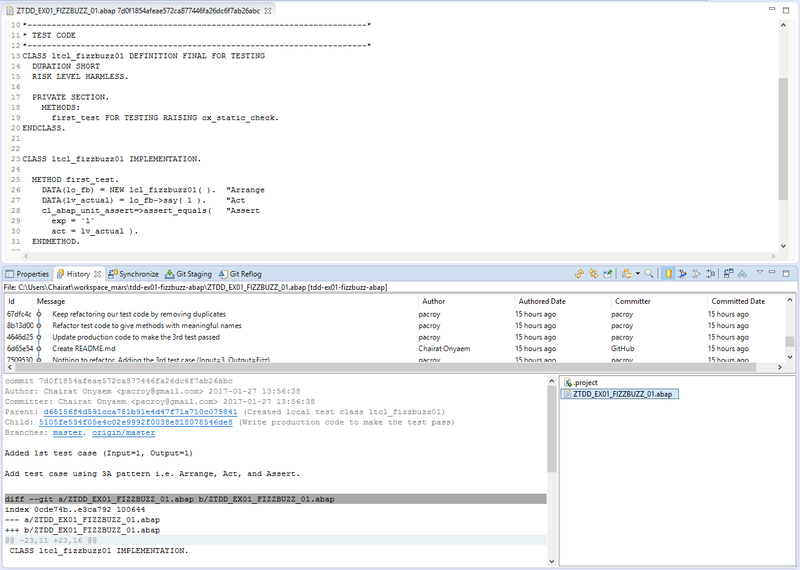 I found this is more user-friendly to explore than it is in Eclipse. 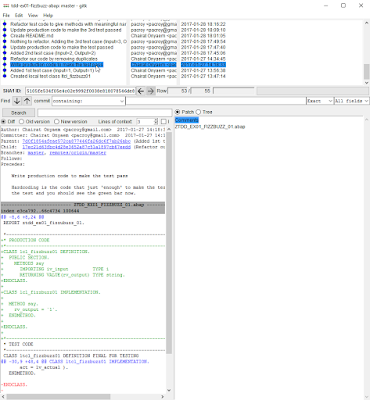 However, I cannot find an easy way to view the file at specific commit without checkout or revert. Please let me know if you know how. 1. 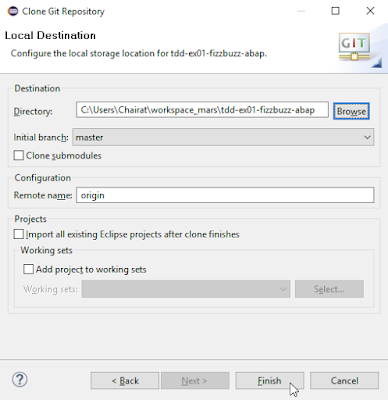 Open GitGub Desktop and Click + on the top-left and choose either Add or Clone tab. In this case I choose Add to add existing local Git repository. 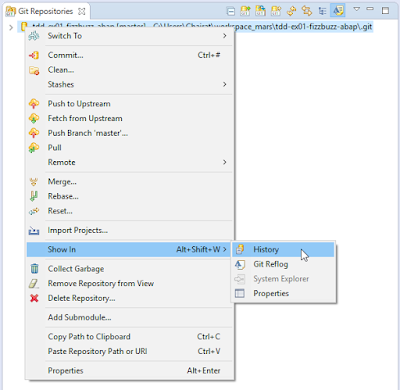 Select your local Git directory and click Add repository. 2. 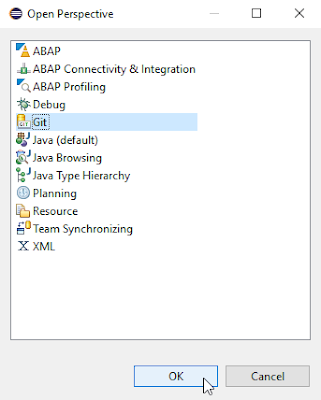 On the right panel, select History tab. 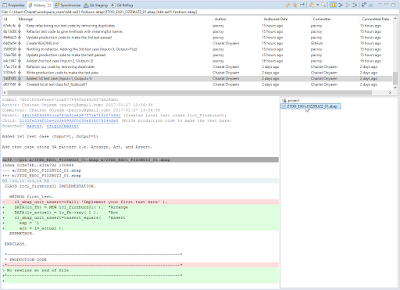 It will list all commit history in anti-chronological order with change of the commit showing on the right pane. 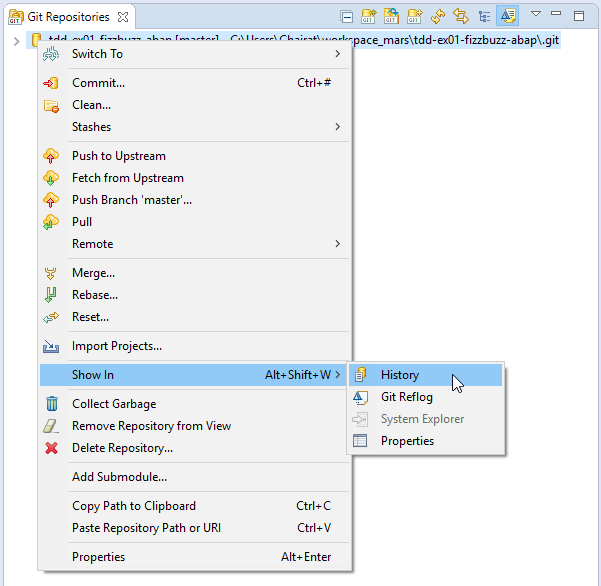 However, same as Git GUI, I cannot find a way to display the file content at specific commit without checkout/revert. Please let me know if you do know. 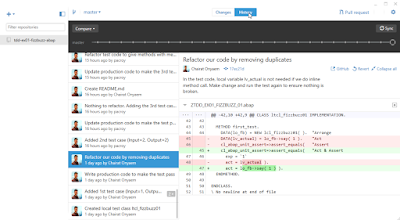 If you want to just explore and trace changes in each commit, Git GUI or GitHub Desktop are more user-friendly.